In Vichte, a small town in the southwest of West-Flanders, you will find Brewery Verhaeghe, home of the famous beer ‘Duchess of Burgundy’. Founded as a brewery/malterie by Paul Verhaeghe, the history of Verhaeghe dates back to 1885. At the time a railway was linking Vichte with the capital, ensuring the sales of the Verhaeghe beers on the Brussels market. 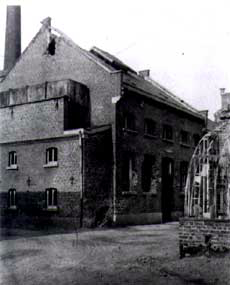 During the first world war Paul Verhaeghe stopped the production and the occupying forces dismantled the brewery. After four years of inactivity, the brewery had not only lost all its customers in Brussels, they were also forced to investment in a new brewing house. In the post war period the brewery started the production of low fermentation beers and focused on the improvement of the quality of the existing beers. At the present time the Verhaeghe brewery feels itself confirmed in its earlier choice: brew less, but better beers. 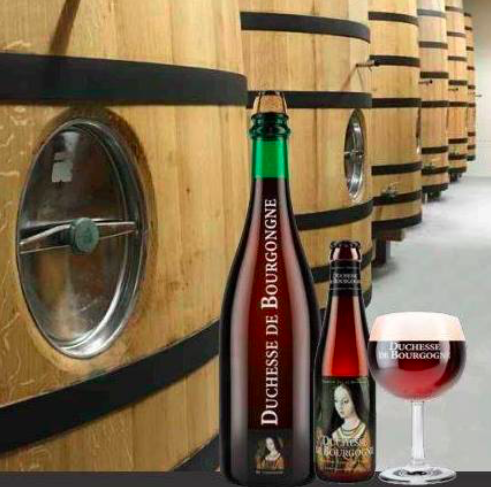 The success of the ‘Duchess of Burgundy’ beer proves that this strategy is working. The red brown ale of West Flanders matures in oak casks and is brewed according to an ancient method that is historically linked with the southwest of West Flanders.